I read a story recently of a pastor who cheerfully began prayer on a cold and stormy Sunday morning with thanks "that most days aren't like this." That sums it up for me pretty well right now. Waking slowly this morning, I sat up and turned on my phone to check messages and weather, then Facebook. My internet connection was unusually slow. Eventually I started to see status updates – apparently I had slept through quite a windstorm. My still-groggy brain processed that information and I began to realize there was a lot of noise coming from outside. Big noise. Windy-sounding noise. 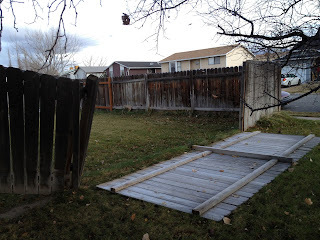 I don't remember why I first went outside, but I found most of the front section of our fence had been blown down. Going onto the lawn to investigate the damage, I looked across the back yard and saw much fence down on the back side, too. The still-strong winds were threatening to destroy even more, so we went out into it and took down strategic sections to provide a bit more stability. 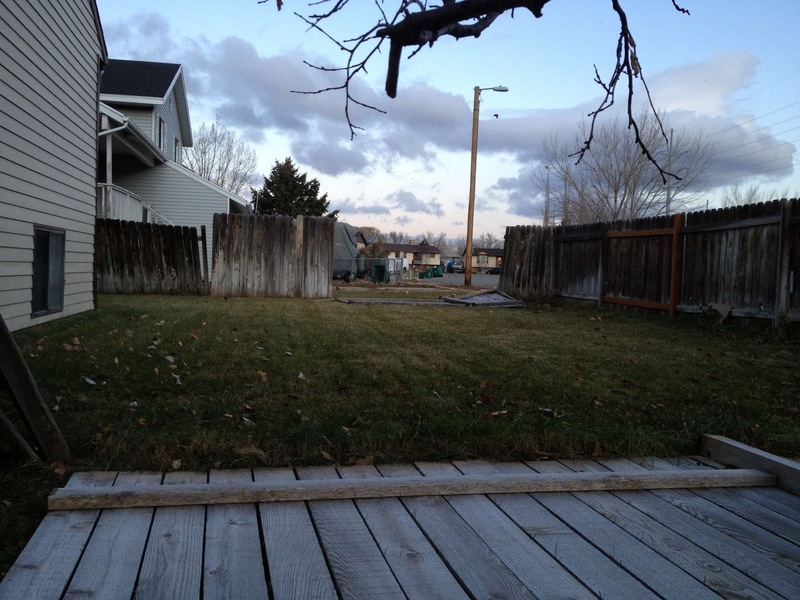 Immediate situation stabilized a bit more, I went online looking for reliable fencing repair companies. Until we lost our Internet connection. And then our internal network. 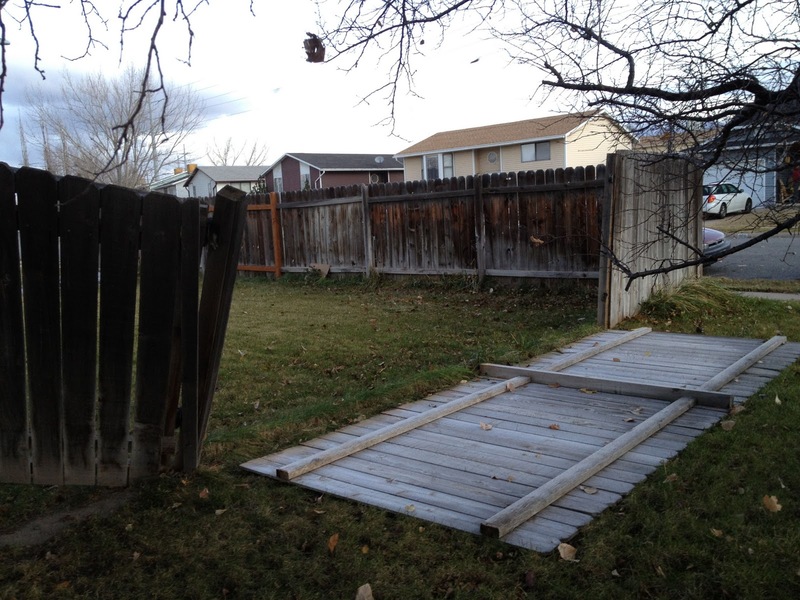 Clearly we were not going to find a fence repair company quickly. But, as it turns out, that really did not matter because our cell phones would not make calls, and texting was iffy, too. We could see the freeway from our place and the cars were not moving. Still, Mark needed to go to work, and it was clearly going to take a while to get there, so he kissed me goodbye and headed out. 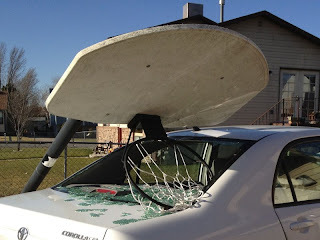 A few moments later, he came back in because he needed to take my car -- the back window of his had shattered when the basketball standard came down in the storm. So… I'm at home. The dog has been out of sorts with all the excitement. There is a bunch of shattered glass across the seats of the car, which would be awfully windy and cold to drive anyway. A load of still-wet laundry sits in the dryer, and the soapy mess of the next load is in the wash. No lights, no furnace, no cooking. I really wish this day had been different, that we were not having high winds and the damages they cause. I wish I were not listening still to stuff coming apart around the neighborhood. Even so, I am reminded that I have much to be genuinely grateful for. And really, all this is not so bad. Yes, it will be expensive, time-consuming, and inconvenient. But our house is still standing, and even our large tree seems to be holding strong. We will probably have power and heat by tomorrow. In fact, our house had heated up already this morning before the power went out, so it is not freezing cold in here. I am grateful for crews of police and power company people and others who have been working for hours in uncomfortable and potentially dangerous conditions to get things back to normal. I am grateful for hats and layers of warm clothes. Oddly, though I still can't make phone calls, I have email and internet on it, which has been helpful. And... I am grateful that most days aren't like this.